Burnley and Pendle District Freemasons help Burnley’s Oldest Youth Charity. Graham Vernon (Centre Manager) pictured above with Mark Barlow the District Charity Steward. The security Grille forms part of a new venture for the Boys and Girls Club in the community kitchen which will hopefully be ready for opening in the new year will bring, employment, enjoyment and a social aspect to the facilities down at Barden Playing Fields. Burnley Boys and Girls Club has lots of heritage within the town and they will be celebrating 120 years next year, the youth organisation does far more than provide a space for young people, it provides; emotional wellbeing and support to all its members and the future plans of development for the site and the club are set to challenge social isolation and develop a centre for the community in 2019. 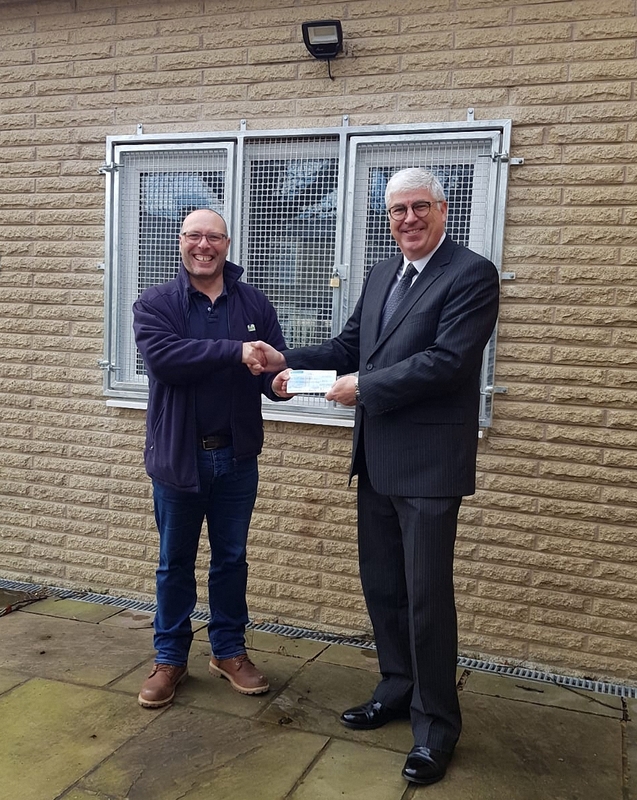 Mark Barlow said“I was approached by the Chairman of Burnley Boys and Girls Club who asked if we could help them with a security grill on a window that was unprotected so I put it to the Charity Stewards and they overwhelmingly supported this. So it gave me great pleasure to present the cheque to Graham Vernon on behalf of the Burnley and Pendle District Freemasons”.